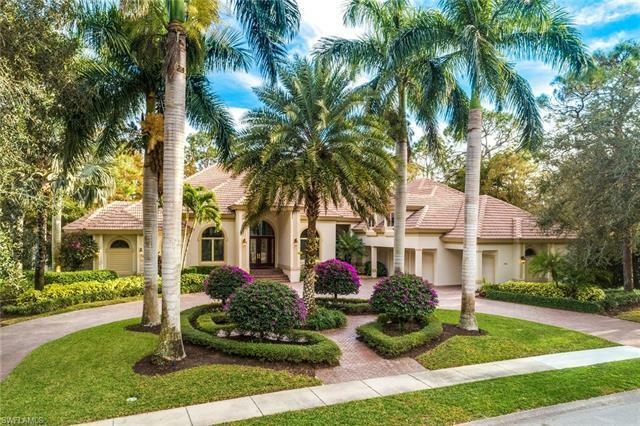 Surrounded by nature, this elegant home in Grey Oaks captivates you as soon as you enter with the tranquil and expansive views of the lake and golf course. With over 6065 square feet of living area, this impressive home has all the appointments for gracious entertaining and family relaxation. The large gourmet kitchen and family room open seamlessly to the immense screened outdoor pool, spa and summer kitchen for easy Florida living. The master suite has dual closets and sitting area overlooking the serene ambiance of the rear yard. Additional rooms include a first floor VIP suite, 2 guestrooms, 5 full baths, office and upstairs gathering room. Wine storage, 3 car garage, brand new A/C and hot water heater (2018) complete this home. The award-winning Grey Oaks Country Club offers homeowners resort-style living and world-class amenities with 54 holes of championship golf, tennis, pool and a 30, 000-square-foot state-of-the-art wellness center. Close to Old Naples, the beautiful sugar sand beaches of the Gulf of Mexico and fine dining.